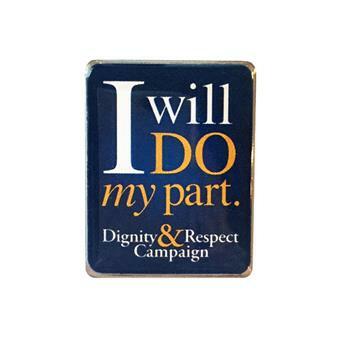 Pack of 25 Navy blue lapel pins with white and gold writing. Pack of 25 Metal Lapel Pins. I Will Do My Part. 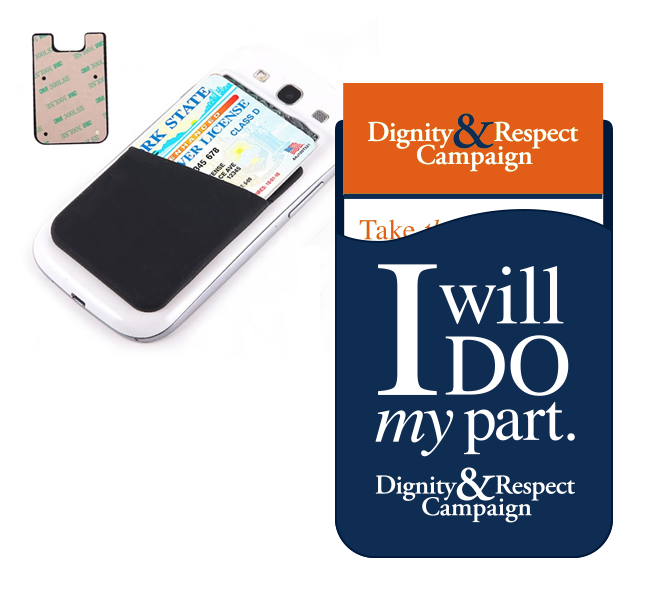 Dignity & Respect Campaign printed on the front. 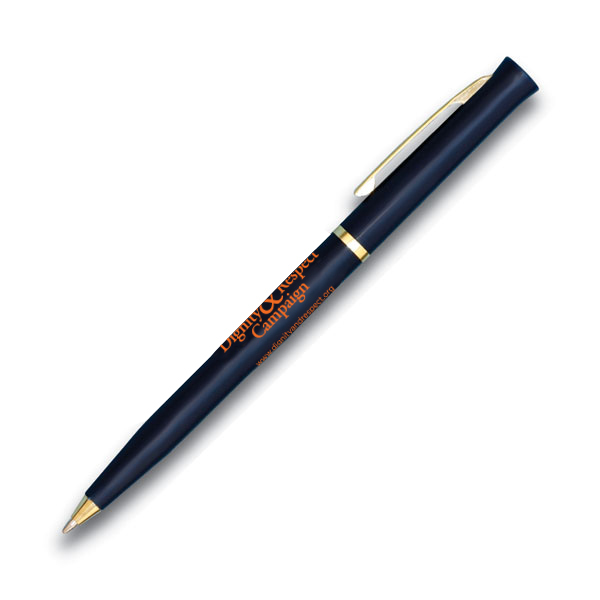 Navy blue with white and gold writing.